Since 1988 he has been solo flutist of the Symphonieorchester des Bayerischen Rundfunks. Since 1994 Philippe Boucly has taught a class at the Richard Strauss Conservatory in Munich. Born into a family of musicians in Mulhouse, France, Philippe Boucly was taught by such renowned flutists as Marcel Moyse, Roger Boudin, Sir James Galway and Michel Debost. As a student of Jean-Pierre Rampal, he won the first prize at the Conservatoire National Supérieur de Musique in Paris in 1980. “He always places his dazzling technique and his pure, warm tone in the service of his great musicianship, so that he can reveal them in all their glory as a soloist.” Jean-Pierre Rampal wrote about his student’s performance. Philippe Boucly was awarded prizes at a variety of music competitions, such as in 1976 in Paris, 1977 in Prague and in 1982 in Barcelona. In 1979 he became principal flutist in the Orchestra National du Capitole de Toulouse. In 1984 he accepted the same position in the orchestra of the Deutsche Oper in Berlin. 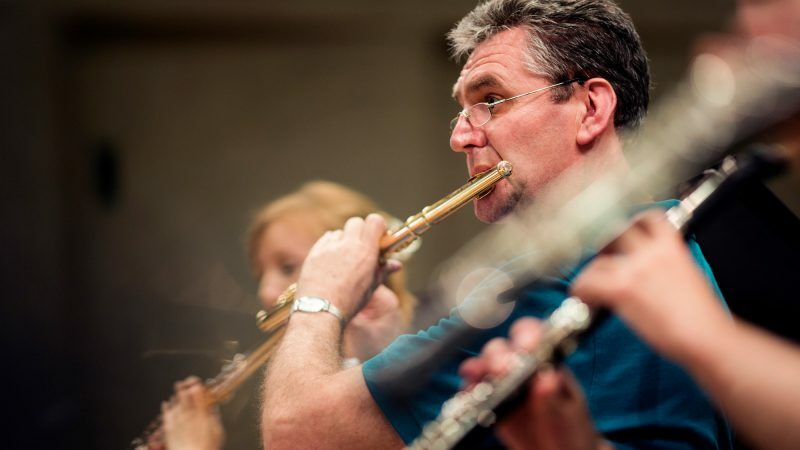 Since 1988, Philippe Boucly has been principal flutist in the Symphonieorchester des Bayerischen Rundfunks. He has also performed with such important orchestras as the Berlin Philharmonic and the Munich Philharmonic and under the baton of renowned conductors like Leonard Bernstein, Sergiu Celibidache, Sir Georg Solti, Carlo Maria Giulini, Carlos Kleiber, Lorin Maazel, Claudio Abbado, Bernard Haitink, Zubin Mehta and Pierre Boulez. Besides his orchestral activity, Philippe Boucly performs in solo and chamber music concerts and was a member of the Linos Ensemble for many years. On the occasion of Sir Georg Solti’s 80th birthday in 1992, Philippe Boucly was invited by Prince Charles and Princess Diana to take part in a commemorative concert at Buckingham Palace along with such artists as Mstislav Rostropovich, Plácido Domingo and Dame Janet Baker. Philippe Boucly gives regular master classes at home and abroad (Europe, Japan, Korea, etc.). From 1992 until 1995 he was an instructor at the Academy of Music and the Performing Arts in Frankfurt (Main), from 1994 to 2008 he taught at the flute faculty at Munich’s Richard Strauss Conservatory. His new original text edition of the six quartets (Hob. 11) for flute violin, viola and cello by Franz Joseph Haydn , was published in 1999 by Edition Molinari in Regensburg. He plays an 18-carat gold Japanese Sankyo flute. Since 2008/2009, Philippe Boucly has been a teacher at Munich’s Academy of Music and Theatre.